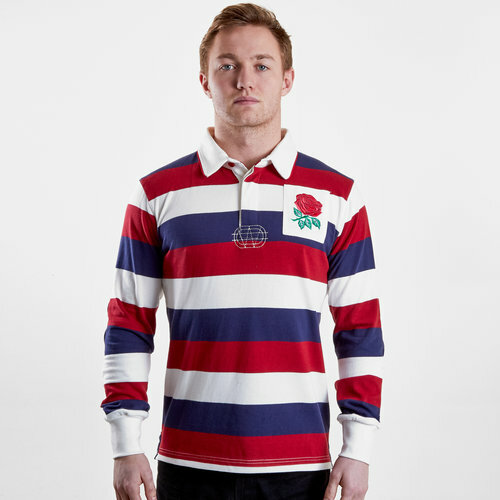 Show your passion and pride for the rose with this England 2019/20 Vintage Stripe Rugby Shirt from VX-3. Our international rugby team England compete annually in the Six Nations Championship competition as well as the Rugby World Cup every four years. They have won the six Nations outright on a total of 28 occasions (with the addition of 10 shared victories), 13 times winning the Grand Slam and 25 times winning the Triple Crown, making them the most successful team in the tournament's history. They are ranked fourth in the world by the International Rugby Board as of 5 November 2018. England is to date the only team from the northern hemisphere to win the Rugby World Cup, when they won the tournament back in 2003. They were also runners-up in 1991 and 2007. This look needs no introduction as it comes in a red, white and navy striped colourway. 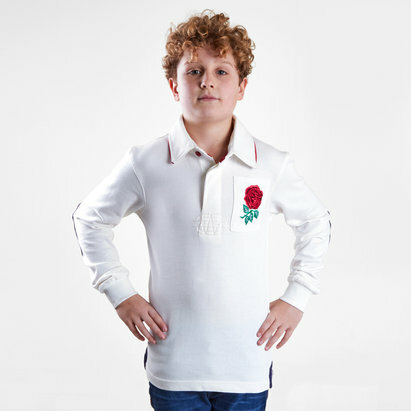 The England rose is stitched aside the buttoned neckline with the word England stitched under the collar at the back in red. 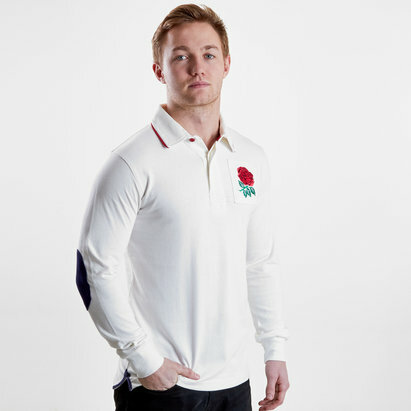 Cheer on England in the 6 Nations and at the 2019 Rugby World Cup with this polo.